Why is the MET such an important part of the city's entertainment scene and history? We asked Peter Clark, the Metropolitan Opera Director of Archives. 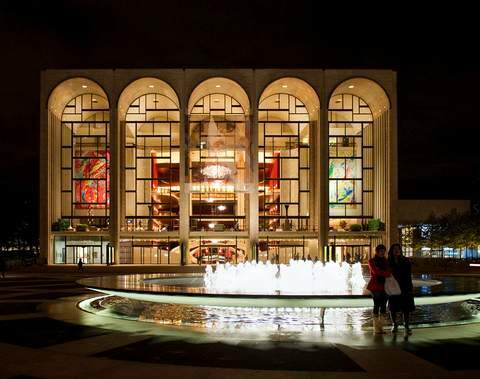 "The Metropolitan Opera is a pillar of New York City culture. With its dazzling productions starring the world's greatest artists, there are few cultural experiences more iconic than attending a performance at the legendary Opera House. Whether you are brand new to opera or are a lifelong fan, there is no better time to visit the Met than this season when the company is celebrating the 50th anniversary of its Lincoln Center home." This Winter and Spring, the Met stage will host a line-up of “beloved and accessible operas,” perfect for first timers and opera lovers alike. And tickets start at only $25! If you’d like to tour the Metropolitan Opera House at Lincoln Center, the public areas are open to the public free of charge from 11:00 a.m. to 4:00 p.m. on Sundays and from 10:00 a.m. to 2 p.m. on weekdays ending on May 13, 2017. Visitors may walk up the famous grand staircase, admire the crystal chandeliers, and walk onto the balcony overlooking Lincoln Center Plaza. A large television monitor even gives visitors a live look at rehearsals. · Carmen, January 19 through February 18: Georges Bizet’s audience favorite stars French mezzo-soprano Clémentine Margaine as an immortal Gypsy heroine with Tenor Marcelo Álvarez as her hapless soldier Don José. · Il Barbiere di Siviglia, currently on stage through February 11; Rossini’s comedic jewel returns with Peter Mattei reprising his compelling portrayal of Figaro, a barber who knows all the town’s secrets and scandals that plots a divisive plan to set up lovers Rosina and Count Almaviva portrayed by Pretty Yende and Javier Camarena. · Rigoletto, January 20 through April 27; Michael Mayer’s action packed tragedy takes place in 1960’s Las Vegas. The production features Željko Lučić reprising the title role of Rigoletto, a hunchbacked jester who struggles to balance the dueling elements of beauty and evil that exist in his life. · Roméo et Juliette, currently on stage through March 18; Take a journey with Shakespeare’s classic star-crossed lovers from opposing families in this Charles Gounod adaption. This critically acclaimed production features stunning costumes and gorgeous performances. · Werther, February 16 through March 9; Tenor sensation Vittorio Grigolo will portray the title role of Werther, a young poet seeking the unattainable love of Charlotte, sung by mezzo-soprano Isabel Leonard. The Metropolitan Opera was founded in 1883. Great conductors like Arturo Toscanini and Anton Seidl helped shape the MET while legendary Italian operatic tenor Enrico Caruso gave more performances with the Met than with all the world’s other opera companies combined. Each season, the Met offers more than 200 opera performances. More than 800,000 people attend performances in the opera house. The Met's successful radio broadcast series - the longest-running classical music series in American broadcast history - is entering its 85th year! The Metropolitan Opera House at Lincoln Center for the Performing Arts is located at 30 Lincoln Center Plaza, New York, NY 10023.